The ULTIMATE Anti-Aging Workout Bundle! Relax and unbind those tight muscles, sculpt your body using muscle lengthening and take that beautiful, vibrant body off for a fun walk. Get all 3 recorded class packages and enjoy a discount! Buy the bundle and save $21!!! Did you get up this morning feeling stiff, inflexible and in pain? Have you been exhausted, overwhelmed and just plain stressed out? Did you think to yourself… ”well this is what getting older feels like!”? Guess what? This is not what getting older needs to feel like. It’s not just that you are getting older. It’s that you haven’t been moving your body for a while and you haven’t used proper bio-mechanics for a longer period of time. When you are sick and tired of feeling sick and tired and tight and stressed out and in pain…what do you do???? Many of us decide to get serious and get into shape! We decide to join the gym and “go workout”! Lifting weights, doing intense group exercise classes and even doing yoga. But doing these kinds of intense workouts isn’t what is going to be helpful at this point. Why? Because you aren’t FIT enough to do these kinds of activities. The first thing that we need to do is to get our bodies FIT! Getting FIT is the first part of the ultimate anti-aging workout! The first part of getting FIT is to relax and release all the bound, dehydrated fascia and connective tissue. Science is only now begin to get a glimpse of the miracle we call fascia. Click here to read the definition of fascia in Wikipedia. When we don’t move our body much during the day (think sitting at a desk, couch in the car for long periods of time), the fascia gets very tight and that restriction stops oxygen and nutrients from getting down into all your cells. It causes us to feel tight and in pain. it causes problems that can include insomnia, digestive issues, inflammation and all the chronic conditions that come from this. In other words…it’s a big deal! How do we unbind, hydrate and get our fascia moving? Through very relaxed, specific movements. Yes…RELAXED. This is key. Don’t you love a workout that has you start by doing very relaxed and gentle movement that allows your body to loosen up and start to feel better again? This is mission critical!!!! This is what all my classes do. We always begin with slow, relaxed movement. 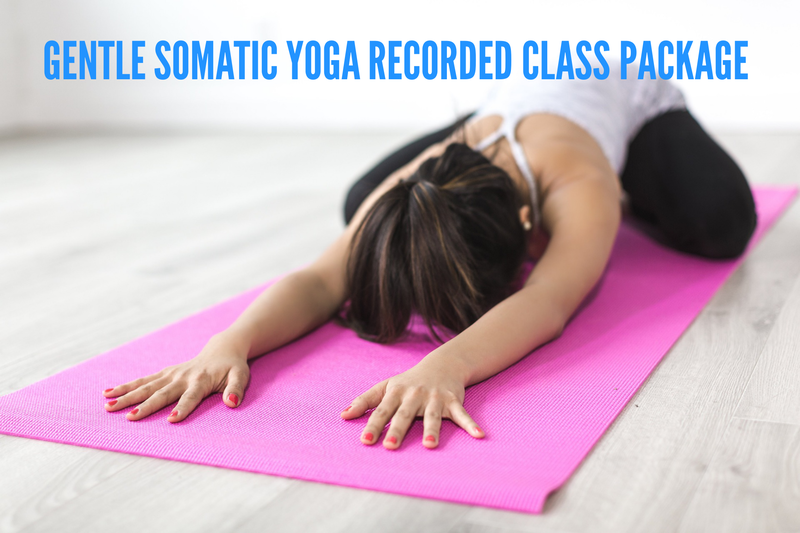 If you are doing the Gentle Somatic Yoga, we are on the floor with our eyes closed moving slowly and “going inside” the body to find all the places where we are holding our tension and through visualization and specific breathing…we relax and release those tight places. This is what mindful movement is all about. This relaxes not only the tensions we are holding in our muscles….it also relaxes our whole nervous system. Yes…the ultimate anti-aging workout routine needs to include a way to reduce stress and relax our nervous system. Wouldn’t you agree??? Once you’ve started to unbind and hydrate the fascia, release the connective tissue and muscles…now it’s time to find those muscles in the body that need to be strengthened. Not using weights but by using very focused body weight strengthening moves. We do this in the Stretch and Sculpt Classes. Yes…you can sculpt the body once you have relaxed the tight, constricted areas and then focus on lengthening and strengthening the body. This is how you develop long, LEAN yet dense muscle! Doing these two classes consistently is what will get your body FIT to do any other activity you enjoy. Now you are feeling good in your body again. Want to now improve your cardio health? How about doing some walking workouts. Using proper posture and walking techniques designed to get the most out of every walk…Stretch and Stride Classes has you covered! There you have it…the ultimate anti-aging workout! The old “no pain no gain” approach to exercise is no longer appropriate. It creates too much stress in the body (and goodness knows…we are stressed enough as it is), increases inflammation, creates more free radical damage and increases the possibility of injury. The new motto “no pain all gain” is where we are at now!!! Thank goodness! This would be $141 if purchased individually. Buy the bundle and save $21! Bliss Praise from Other Awesome Women! Read what benefits other awesome women have experienced from these classes! Just after one stretching class I slept like a baby, already feel stronger and have more energy. I feel that I am aging backwards and able to keep up with my two young grandsons because of attending Renee’s classes. For the past three years, I have been learning from Renee during her live and recorded classes. I have become addicted to Renee’s stretching and activation teaching style. I am so much more flexible, and my balance is greatly improving. Since I am in my 60’s, these two things are greatly important to me. I feel that I am aging backwards and able to keep up with my two young grandsons because of attending Renee’s classes. I feel that participating in Renee’s unique on-line classes is one of the very best things I do for myself. I also enjoy the walking classes for an aerobic full-body workout. 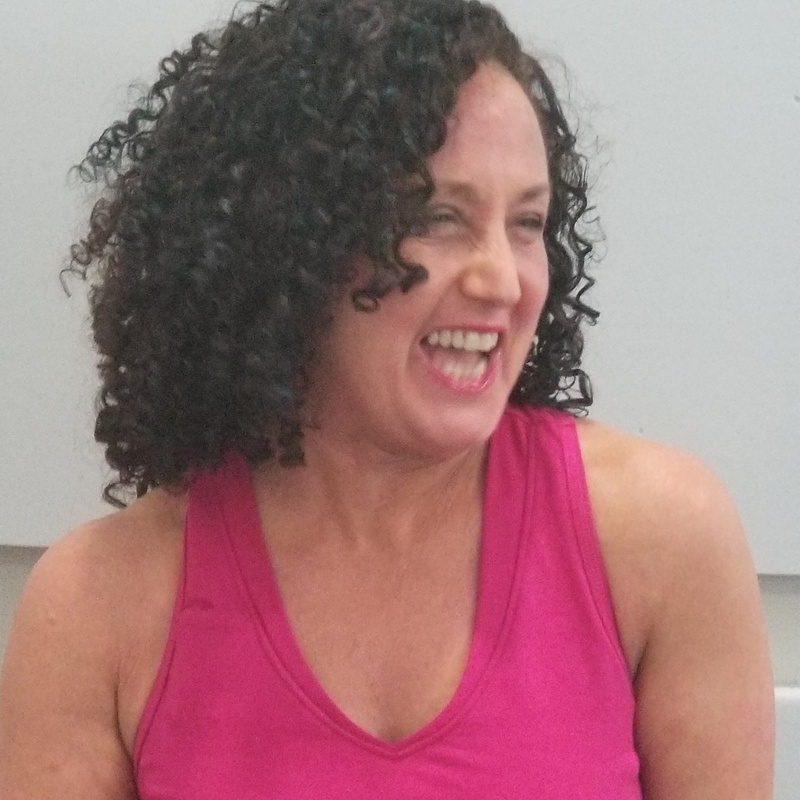 Renee’s on-line class packages are my perfect answer for getting the right balance of full-body movement, balance work, and muscle activation. I’m so grateful for Renee and totally hooked on her classes!! I started moving again with Renee attending her Sculpting & Stretching sessions 2 months ago and now I am pain free!